In today’s world, security is a top priority in all types of places. From government buildings to small businesses to residential areas, more and more security equipment is being put in place on a daily basis in order to keep people and their property as safe as possible. Although security should certainly be taken seriously in any situation, there are few situations when it is more important to keep people safe than in a school setting. 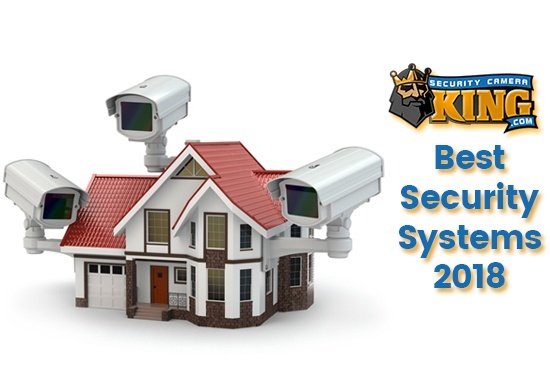 Therefore, individuals who are involved in the school system, parents, children and entire communities should realize the importance of having a top notch security system in place in every school. Unfortunately, many schools leave something to be desired when it comes to security. In many areas, school seem safe, and parents and educators have let their guard down. However, you never know when something could happen, and it is important for every school to be as safe as possible. These are only five good reasons why every school should have a top notch security system, and there are countless more. Therefore, you should do everything in your power to make sure that every school system in your community has the security that it needs. Although it might take a few meetings with school officials, educators, parents from the community and even experts in order to make a difference, putting forth this effort is essential if you want to make certain that every child is as safe as possible when he or she goes to school. Taking proper security precautions can also help keep others who go to the school, such as teachers, parents and guests, as safe as possible from danger and harm. 1. School violence doesn’t seem to be going anywhere any time soon. School violence isn’t anything new. There have been countless stabbings, shootings, fights and other types of violence in schools over the years, and a lot of people have been hurt or killed in these incidents. Unfortunately, it doesn’t seem as if school violence is going anywhere any time soon. Sadly, it seems as if every time that you turn on the news you hear about some new sort of violence that has occurred in a school, and you never know when something could happen in a school in your community. Therefore, it is essential to do everything that you can to make sure that the schools in your area are as safe as possible. Although you surely don’t want to think about anything happening in a local school, putting forth an effort to add a security system that is top notch can help prevent bad things from happening. Over time, the country as a whole can help reduce school violence by implementing the right security measures in schools all over the country. By installing top notch security systems and following the right procedures to cut down on violence, more and more criminals will be far too frightened to commit their crimes. Even those who are brave enough to commit crimes can be more easily stopped and prosecuted for their wrongdoings, which could eventually cause people to rethink their behaviors and stop committing so many acts of violence against children and faculty members in schools. Although it will take a lot of work and cooperation on the part of school officials, parents, students and communities, making this effort is essential for those who want to keep schools and the children inside of them as safe as possible. 2. Protecting children is a necessity. If you are a parent, you know that it is essential to do what you can to protect your child, and you also surely realize that it is every parent and adult’s job to work together to keep all children as safe as possible. Since you surely don’t want to feel as if your children aren’t safe while they are in school, it is your responsibility to do what you can to make sure that schools are safe places for parents to send their children every day. Although it isn’t actually possible to keep every child safe from every type of threat, you can greatly reduce the crimes that are committed against children by working proactively to keep kids safe. This should start at home and school, two places where children should always feel as if they are safe. By installing the best security systems that are available and taking the best possible security measures, you and your community can make a difference in how safe the children in your community are from violence. 3. Children are often scared of going to school due to violence. Many people don’t realize it, but children often know more about what is going on in the world than people think. It can be incredibly frightening for a child to hear about a school shooting or another type of violence in other schools, even if the school is on the other side of the country. When children hear about this violence, some of them might worry that similar things can happen at their own schools. Since you obviously want your child and every child in your community to feel safe at school, it is your responsibility to make a difference in the schools in your area. Fortunately, taking security measures and telling the children about them can make them feel safer about going to school. Along with utilizing security systems to make children feel safer, it is also important to go over important safety rules with them. Every school should also have a plan that will be put into action in the event that a crime is committed on school grounds. If children feel as if their parents and educators have these situations under control, they are sure to feel more comfortable at school, and knowing which steps to take can allow children to follow the right course of action in the event that something happens; this can help keep them safe and feeling less scared than if they don’t know what to do in the event of an emergency. 4. Parents and other adults in the community are concerned about school violence and the bad things that can happen to children in schools. If you are worried about the safety of the schools in your area, you should know that you aren’t alone. Parents everywhere are beginning to grow more and more panicked about the violence that has been occurring in area schools, and many of these parents don’t know how to handle the situation. Banding together with other parents, educators and concerned citizens from your community can be a great way to make people feel better about the safety of their children and the community’s schools. Having meetings and talking to others who share your concerns is also a good way to encourage your area lawmakers and school officials to make changes in how safe and secure the schools in your community are, and you might be surprised by all of the change that you can inspire by simply getting out there and talking to other concerned individuals from your area. 5. There are a lot of steps that can be taken to protect children and schools. As you can see, there are a lot of good reasons to include a top notch security system in every school. Luckily, there are really no good reasons not to take these necessary security precautions. The safety of the children in the school should always be the top priority, and it is important to keep teachers, school staff members, parents and school guests safe as well. Fortunately, there are a lot of different security-related measures that can be taken in order to ensure that the school is as safe as possible for everyone involved. First of all, it is important for surveillance cameras to be installed in multiple areas of the school. Surveillance cameras provide educators and law enforcement officials with the proof that they need in the event that someone commits a crime on school property, and surveillance footage can also be used in order to take disciplinary measures against any child who misbehaves, gets in a fight or gets caught bullying other students. Another positive advantage of security cameras is the fact that they can be used to prevent crime. A lot of people who would otherwise think about committing a crime on school property might be too scared to try anything due to the surveillance cameras that have been in place, and you never know the crimes that could be prevented just because cameras have been placed in and around the school. When security guards and school officials monitor the cameras during the daytime, they can also look out for suspicious behavior; if they find it by watching the camera, they can often put various situations to a stop before anything bad happens. 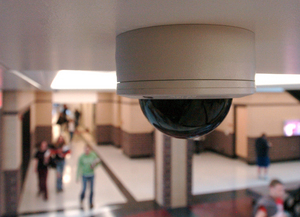 Surveillance cameras can be placed in hallways, classrooms, offices, the cafeteria and at all of the entrances and exits to the school; in fact, placing them near the entrances and exits as well as in the parking lot can also allow school officials to keep an eye on everyone who enters the school. Surveillance cameras can also be used on buses; this can help educators and parents ensure that the bus drivers are taking proper care of the children on the bus, and it can help school officials find out about and cut out bullying and other misbehavior. 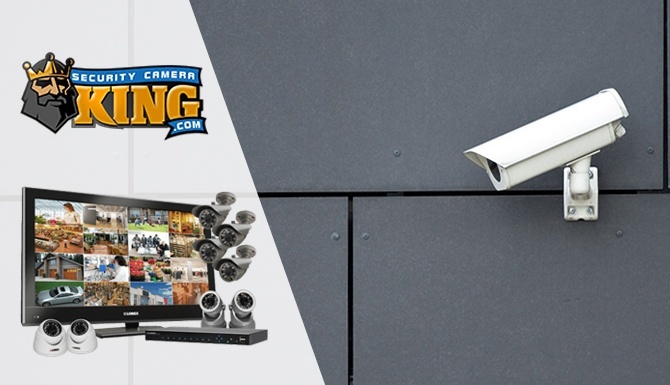 In the long run, a good security camera system can work well in preventing crimes from happening and taking necessary action when rules or laws are broken in and around school property and on the bus. Along with using surveillance cameras for security-related reasons on school grounds, there are other security precautions that teachers and school officials can take. For instance, they can utilize locks that keep people out of the school during school hours. When combined with surveillance cameras, these locks can make it easier for school officials to keep people who aren’t supposed to be in the school out, and it can help everyone keep an eye on those who do enter the school during the day. For maximum school security, there are other types of equipment and procedures that can be followed. For instance, having a school resource officer or security guard on campus is never a bad idea, and using metal detectors at the entrances of the school can help prevent anyone from bringing a weapon into the school building. Burglar alarms can also be put in place to help prevent vandalism and theft after school hours. Having safety rules and regulations in place can also work wonders for school security. Every staff member should know about all of the safety rules that are supposed to be followed on school grounds, and they should also know what type of procedure to follow in the event that something does happen on school property. The children should also be well-aware of what they are expected to do, what rules have been put in place for their safety and what they should do in the event of an emergency. Having a solid plan in place can help everyone feel safer, and it will help ensure that everyone does what they are supposed to in the unfortunate event that school safety is compromised. Fortunately, a security expert who sells security-related equipment can talk to school officials to come up with a plan for keeping the school, students, staff and everyone else who is in and around the school safe. Different schools require different levels and types of security, but it is imperative for everyone in the school system and surrounding community to take school safety as seriously as possible. Although it might take a considerable amount of money in order to place a top notch security system in a school, the cost of this equipment is truly priceless because it can help keep students and others who enter the school as safe as possible. Contact us to find out which security system is right for your school.